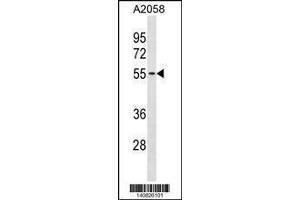 TMX3 Antibody (C-term) (ABIN1881893) western blot analysis in A2058 cell line lysates (35 µg/lane). 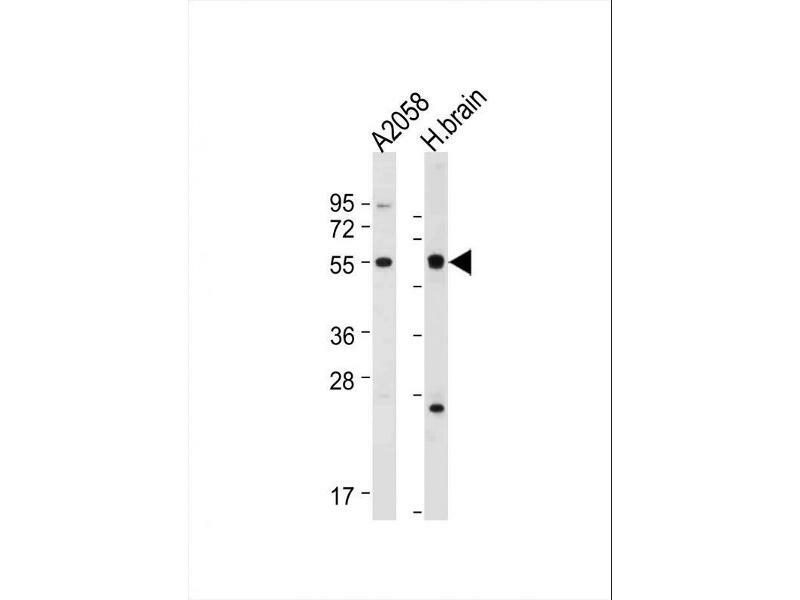 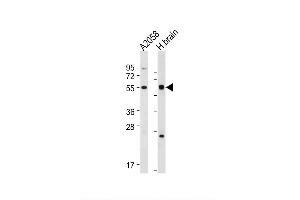 This demonstrates the TMX3 antibody detected the TMX3 protein (arrow). 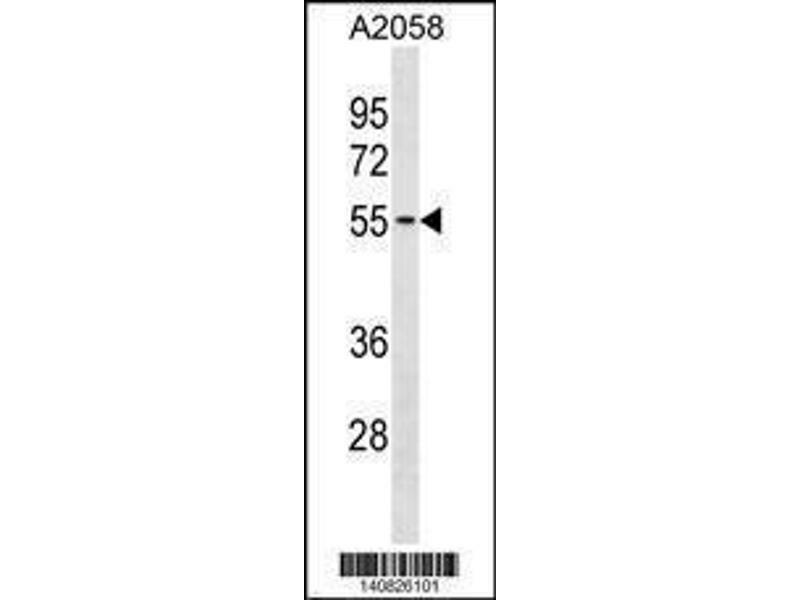 Immunogen This TMX3 antibody is generated from rabbits immunized with a KLH conjugated synthetic peptide between 402-431 amino acids from the C-terminal region of human TMX3.